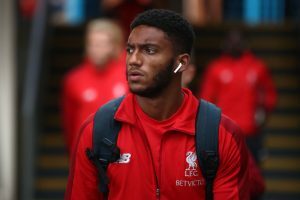 Liverpool boss Jurgen Klopp has provided a positive update on Joe Gomez’s road to recovery from his long injury layoff. The English centre-back broke his leg and has not featured for the Reds since December. However, in a recent interview (via Liverpool Echo), Klopp mentioned that the defender is nearing a return to first-team action and said, “Very positive. Joe is not even in the everyday updates (on players who are out), so that is all positive. This recent development will be a welcome one for anyone associated with Liverpool. Gomez has enjoyed a fantastic campaign until he sustained a serious leg injury back in December. Since the turn of the year, without Gomez, the Merseyside outfit’s form has dipped in the Premier League while they were also knocked out of the FA Cup by Wolverhampton Wanderers. Both Dejan Lovren and Joel Matip have tried their best to fill in alongside Virgil Van Dijk in Gomez’s absence. However, both centre-halves have also had their fair share of injury concerns in the recent past. 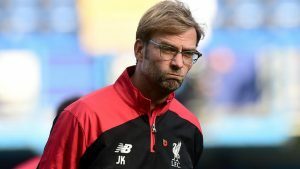 Thus, having a defender of Gomez’s ilk back after the international break would be a massive boost for Klopp’s side and their chances of ending the 29-year wait for a Premier League title. Furthermore, Gomez is a versatile talent who can also play as a right-back and is arguably a better defender than Trent Alexander-Arnold in that position. The 21-year-old has featured in 18 matches for the Reds this term and has made an average of 1.1 tackles and 1.0 interception per game across all competitions. There is no doubt that Gomez played an instrumental part in Liverpool’s stellar defensive record this season. The English youngster is getting better with each year so winning a trophy under Klopp’s stewardship could help him take his game to the next level. Hence, we can expect him to play a crucial role in the final few matches of this campaign. The fact that the Reds are still in the UEFA Champions League could mean that Gomez might get some more opportunities to prove his worth as a top-level defender once again before the season draws to a close. All in all, Gomez’s return could give the Reds the boost they need to go all out in search of silverware after the international break. 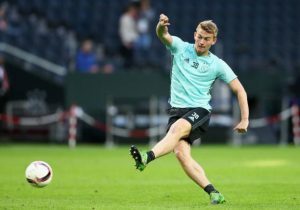 Celtic Tracking This Liverpool Sensation: A Shrewd Move By Rodgers? Do Liverpool Have A Better Temporary Fix For The Troublesome Left-back Position? Real Madrid Planning Surprise Move For This Premier League Defender- Does It Make Sense? 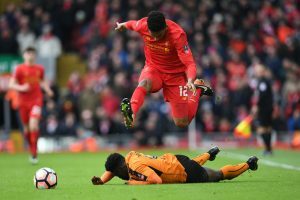 Liverpool Defender Set To Comeback After The International Break: A Big Boost For The Reds?